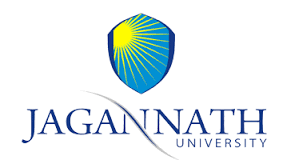 Jagan Nath University has been established in the year 2008, by an Act (Act No. 19 of 2008) of the Rajasthan State Legislature and is approved under section 2(f) of UGC Act 1956, vested with the authority to award Degrees, Diplomas and Certificates. The University has been established to cater to the growing needs of higher education in the country. One of the primary objectives of this University is to develop and make available, trained manpower to accelerate sustained economic growth in the current highly competitive global environment. In order to face the challenges of globalization and liberalization in the field of higher education, the University has endowed its faculty and students with modern technologies, facilities and resources so as to enhance their competency and quality of teaching so they are able to contribute constantly towards learning & research. It is true that conducive environment with updated technological inputs and latest information helps not only providing quality education but also provides human touch and ensures fervent dedication to the cause of the nation and the society. With the above aim in focus and to make the University as a Centre of Excellence for higher studies and research, the University has been equipped with excellent physical and academic infrastructure, latest curriculum, and improved teaching methodology. Best talent has been recruited as faculty, industry interaction and practical exposure makes the learning process at the university dynamic. Our aim is to make Jagan Nath University as one of the best Centres of Excellence in higher studies and research.